Sucralose is the main ingredient in the artificial sweetener Splenda. Unlike sugar, your body does not metabolize sucralose and so eating it does not affect blood glucose levels. If you are using the diabetic exchange diet plan, up to 8 tsp. of Splenda Granulated counts as a free food. Like sugar, Splenda tastes sweet but flavorless and is stable when heated. This versatility makes Splenda a useful sugar replacement for cooking and baking. Choosing Splenda Granulated is the key to successful sugar conversions in recipes. Add Splenda Granulated as a one-to-one replacement in recipes where sugar is only a sweetener. If the recipe calls for 1 cup of sugar, use 1 cup of Splenda Granulated. This includes recipes for pie fillings, custards, puddings, cheesecake or meat marinades. Increase the height of cakes and quick breads by adding 1/2 cup of non-fat dry milk powder and 1/2 tsp. of baking soda for every 1 cup of Splenda Granulated used. Use 1 cup of Splenda for every 1 cup of sugar in the recipe. Keep the brown sugar in your recipe and only replace the white sugar with Splenda Granulated. Brown sugar gives chewy cookies texture and crunch. Flatten cookies before baking, as they will not spread the way cookies baked with sugar would. Activate yeast in breads by keeping a minimum of 2 tbsp. of sugar in your recipe. Without some sugar, the yeast will not bubble and your bread will not rise. Brown your baking by spraying the top of the dough with cooking spray. Splenda will not caramelize like sugar and so will not brown like sugar when baked. Check your cakes seven to 10 minutes earlier than the baking time stated in the recipe. Check other baking three to five minutes earlier. Foods will bake more quickly when cooked with Splenda. Splenda creamed with butter may separate when you add eggs. This is expected; just continue as usual with the recipe. If you find your muffins dry, add 1 or 2 tbsp. of honey or molasses. Splenda Granulated does not have the preservative properties of sugar. When baking with Splenda, wrap and freeze any food that you want to last. Ideally eat all baking within 24 hours. 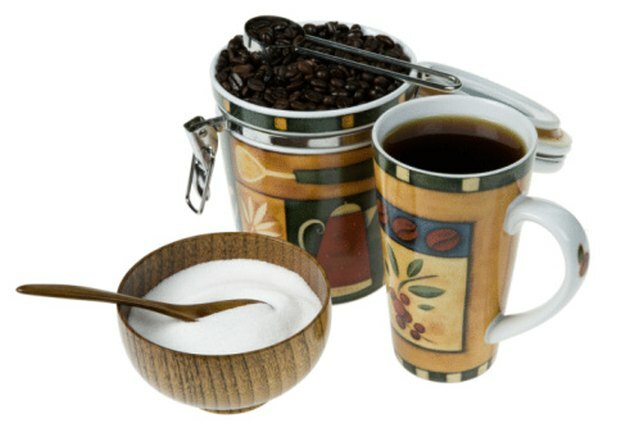 Do not rely on Splenda to act as a preservative in canned foods. Use proper canning techniques and refrigerate any opened cans to avoid spoiling. How do I Make a Sugar Free Diabetic Birthday Cake? How Many Calories are in 1 Cup of Splenda Brand Sugar for Baking?